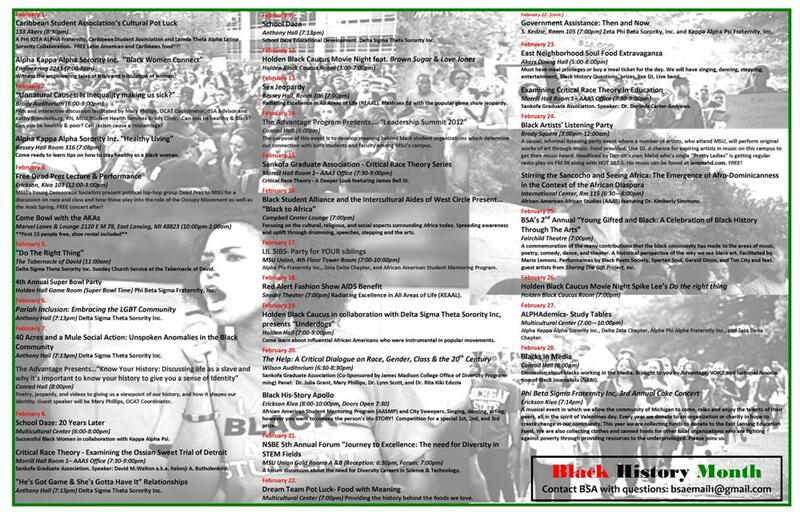 Black History Month is an opportunity to celebrate the accomplishments while recognizing on-going struggles faced within the Black/African American community on and off campus. OCAT along with faculty, staff, and students come together to plan several cultural and educational events. Black History Month is recognized and celebrated during the month of February. Please contact OCAT (ocat@msu.edu) if you have any questions.